Why it's great: If you've ever had acne, you know that it can seriously mess with your confidence -- and it can be seriously difficult to manage. 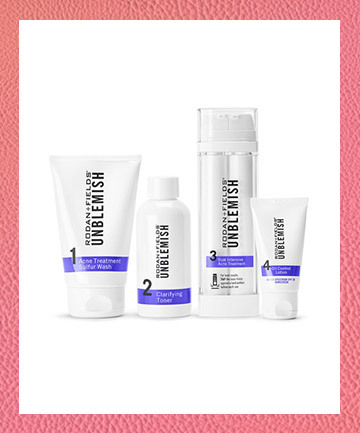 Enter this four-step regimen including a sulfur cleanser, clarifying toner, benzoyl peroxide treatment, and oil control lotion that has TotalBeauty.com reviewers swooning. Here's how one reviewer puts it: "Perfect for my adult acne! It doesn't dry out my skin, it doesn't irritate it, and it leaves me blemish-free! I stopped wearing makeup due to this regimen! I only wear BB cream or tinted moisturizers now." Agree? Disagree? Write your review for the Rodan + Fields Unblemish Regimen here.